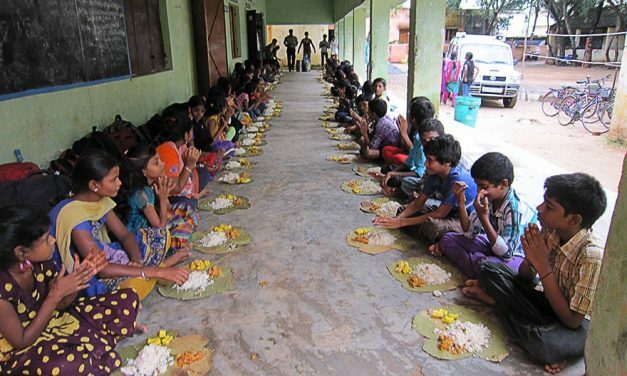 Pancharama kshetras are five (pancha) Shiva Linga Kshetras situated in the present day Andhra Pradesh. 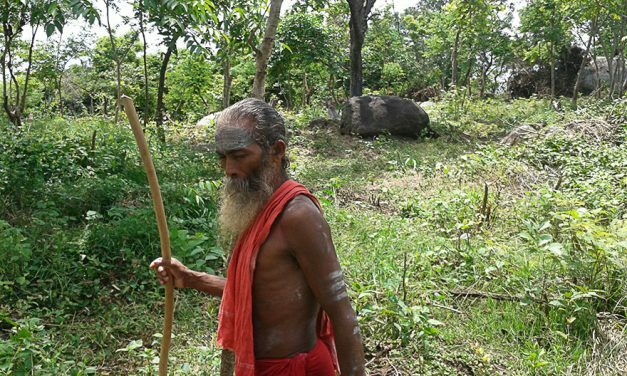 These kshetras are also called “Aramas” (places), hence the name “Pancharamalu”. The significance of these temples is that all the Shivalingas are formed by a single Shivalinga which was worn by the demon Tarakasura. According to the Shiva Purana and Skanda Purana, Demon Tarakasura performed severe penance for Lord Brahma in Madhuvana, and Lord Brahma blessed Tarakasura with two boons. The first being that no one should be as strong as him (Tarakasura), and the second being that only a male child from Lord Shiva should be able to kill him (as at the time Lord Shiva was deeply depressed by the demise of his wife Sati Devi). Tarakasura was happy to have this boon. 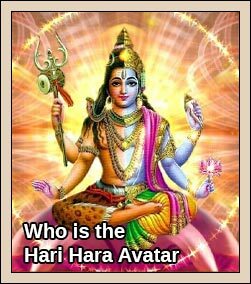 As Taraka was not satisfied by Lord Brahma’s boons, he started penance for Lord Shiva. Lord Shiva was pleased by the penance and blessed Taraka with s 50 ft shivalinga, which can protect him from all types of physical harms, and feeling happy Taraka wore the shivalinga on his neck. Sati Devi, the daughter of Daksha Prajapati, married Lord Shiva against her father’s wishes and she immolated herself in “Daksha Yagna” as she was an uninvited guest, and Daksha insulted Lord Shiva. Enraged at the insult and grief, Lord Shiva as Veerabhadra destroyed Daksha’s Yagna and picked the Sati Devi’s body and performed “Tandava Nritya” (celestial dance of destruction). Lord Vishnu used “Sudarshan Chakra”, which cut through Sati Devi’s corpse and the parts of the body fell on the Indian Subcontinent (according to Skanda Purana, remaining part of universe is just the land ). 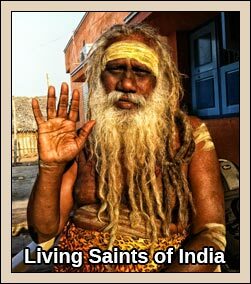 These places are called “Shakti Peethas”. As Tarakasura had a clever boon that he could be killed only by the son of Lord Shiva, Tarakasura was repeatedly defeating the Devatas (Lord Shiva was still in grief of Sati Devi’s demise). 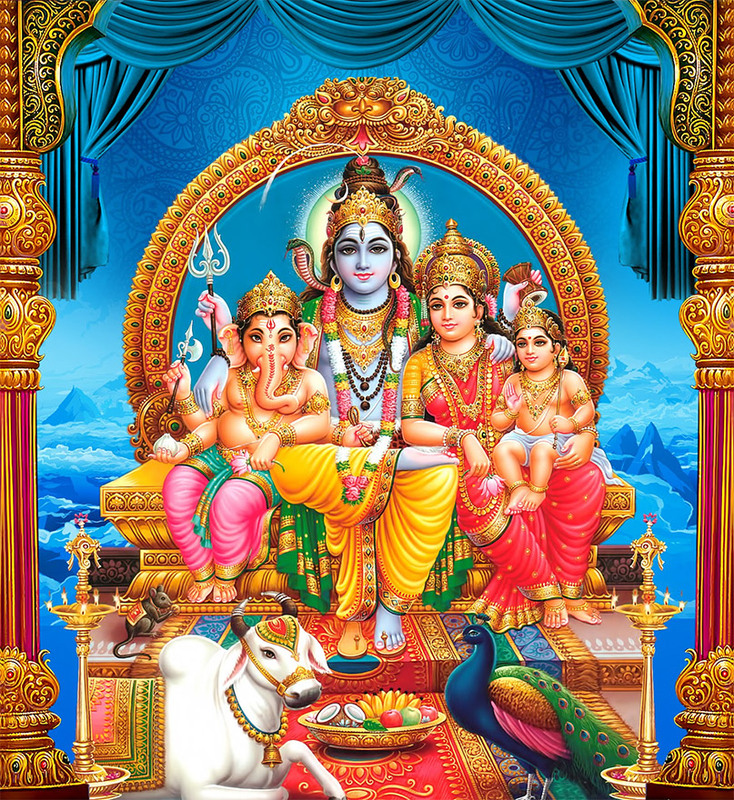 Lord Shiva pleased by the prayers of Devata’s, broke his grief and married Parvati (daughter of Himavat, and the incarnation of Sati Devi) and Lord Subramanya was born. As Lord Subramanya wanted to save devatas from Taraksura, Lord Subramanya fought against Tarakasura and Lord used “Shaktiayudha” which torn the Taraka into pieces, but all the pieces reunite. As this happened many times, Lord Subramanya by the advice of Lord Vishnu broke the Shiva Linga into five pieces using “Agneyastra”(weapon of fire).When pieces of Shiva Linga trying to unite by chanting “Omkara Nada”, Surya Deva (by the order of Lord Vishnu ) fixed those pieces by worshipping them, and installing and building temples over them as they started growing by themselves.They fell in five places, and are called “Pancharama Kshetras”. All the five Shiva Lingas have got scaly(rough) markings, believed to be formed by the power of (Agneyastra). This is a shloka from Padma Purana which means that “Vishnu is in the form of Shiva and Shiva is in the form of Vishnu”. 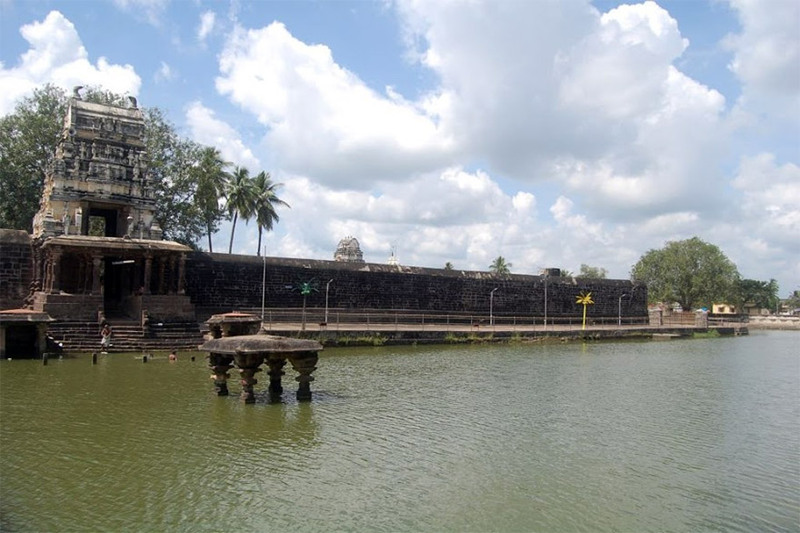 Hence in all the 5 temples, Lord Vishnu was installed in different forms as kshetrapalaka. Locals believe that one should visit all Pancharamas in a single day. This place is one of the 18 maha shaktipeethas. Here Sati Devi (Dakshayani) is called Sri Manikyamba devi, Lord Shiva is swayambhu (self manifestation) as Lord Bhemeswara swamy.Here Lord is worshipped by Surya Deva (sun-god) and to control the anger of Lord Shiva, Lord Chandra installed 8 Someshwara temples in near by places in which Kotipalli and Someshwaram are most important. 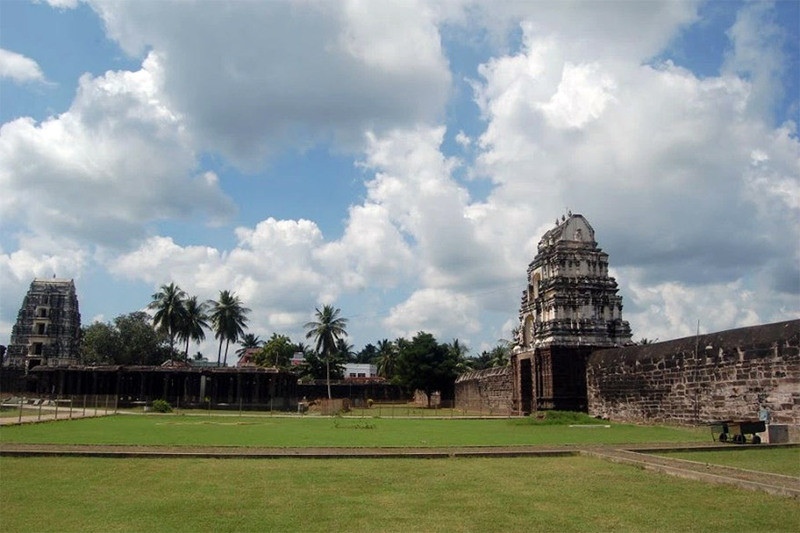 The temple construction started in 9th century and completed in 11th century. This is also called “Dakshina Kasi”. Now it is in control of Archealogical survey of India.Earlier it was called “Dakshavatika” and it is one among the Trilinga Kshetras (Srisailam, Draksharam, Kaleswaram ). So undivided Andhra Pradesh was called “Trilinga Desam”. 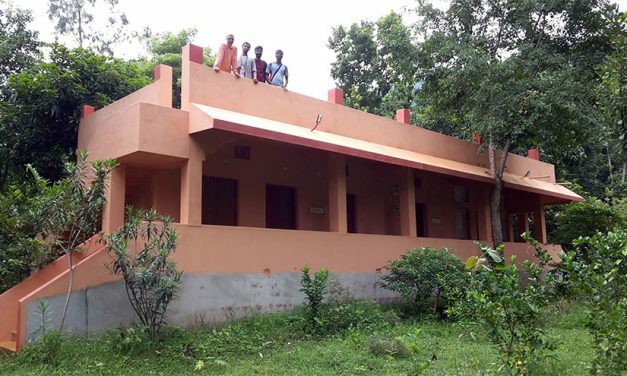 This place is called “Bhoga Kshetra” and “Mukti Kshetra”. Kasi is called “Mukti Kshetra”. Lord Lakshmi Narayana is the kshetrapalaka of the temple. Here Shiva Linga is 60 ft in height and half the Linga is white (in the ground floor), other half is black (in the first floor ). All the pujas are performed here (on the first floor). 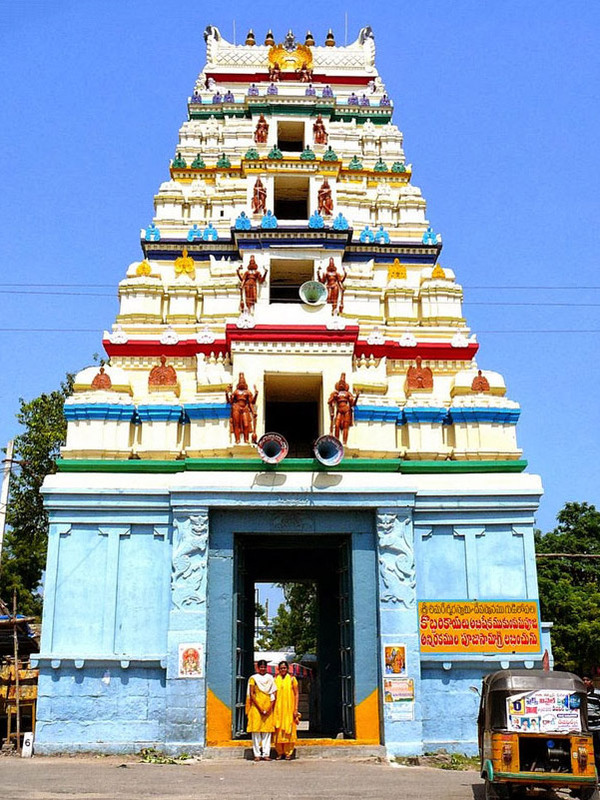 Here the temple was installed by Lord Indra, hence the name Amararamam (lord Indra’s abode is Amaravati) and village name is Amaravathi.The Shiva Linga is 9ft in height and is in light ash colour.The consort Lord Shiva is Goddess Bala chamundeswary. 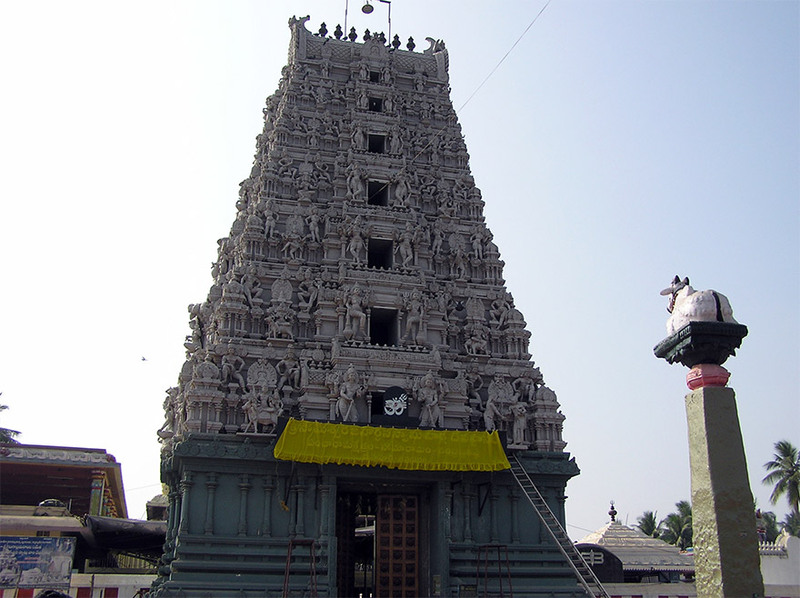 Here kshetrapalaka is Kalabhairava and lord Venugopalaswamy was installed. The significance of this temple is that it has 4 “Dwajastambhas”, which cannot be found anywhere in India. Here The Shiva Linga (unique milky white colour ) was installed by Lord Vishnu and worshipped by Lord Rama, Sita Devi.Hence the Lord is named as Ksheera Ramalingeswara Swamy. The consort is Goddess Parvati. 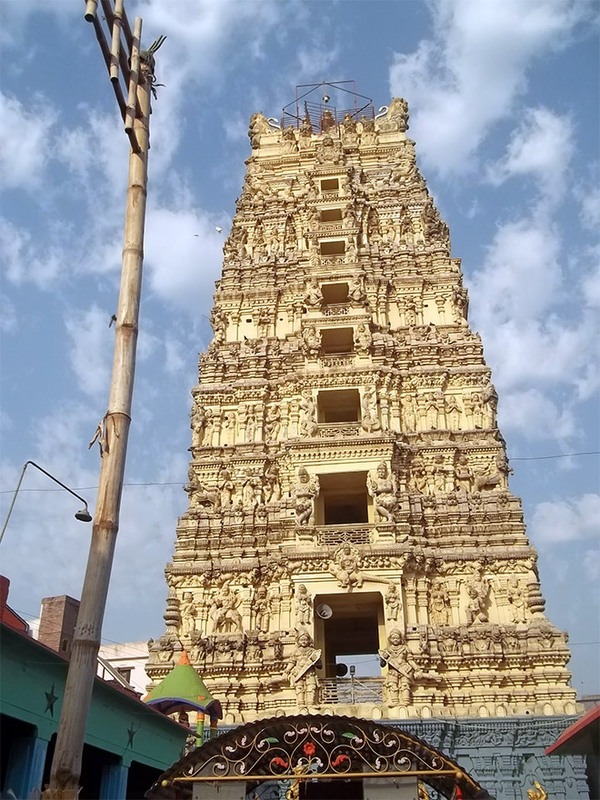 The temple was built by Chalukya Kings in 10-11 centuries, and gopuram of the temple is tallest in Andhra Pradesh, which is 125ft in height and has 9 floors. According to legend, Lord Shiva brought out milk by piercing the place of earth, where the temple was built, with an arrow. Hence the name Palakollu (palu in telugu means milk). 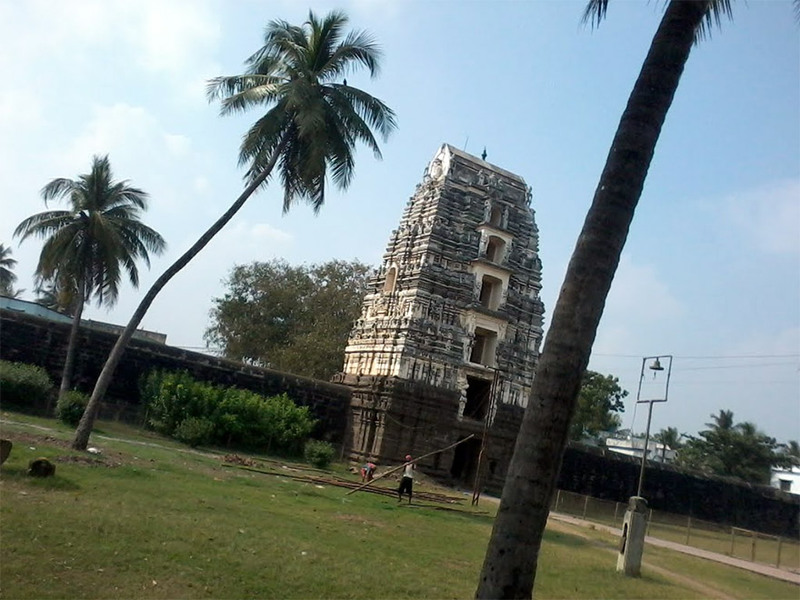 Here Sree Ramachandra is the Kshetrapalaka. 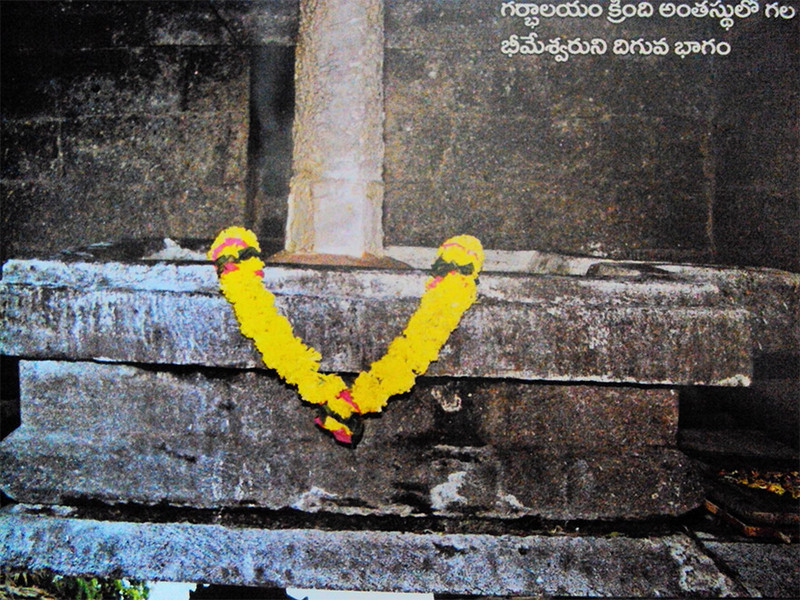 Here the Shiva Lingam is called Lord Someshwara Janardhana Swamy, which was installed by Lord Chandra and is in Bhimavaram. 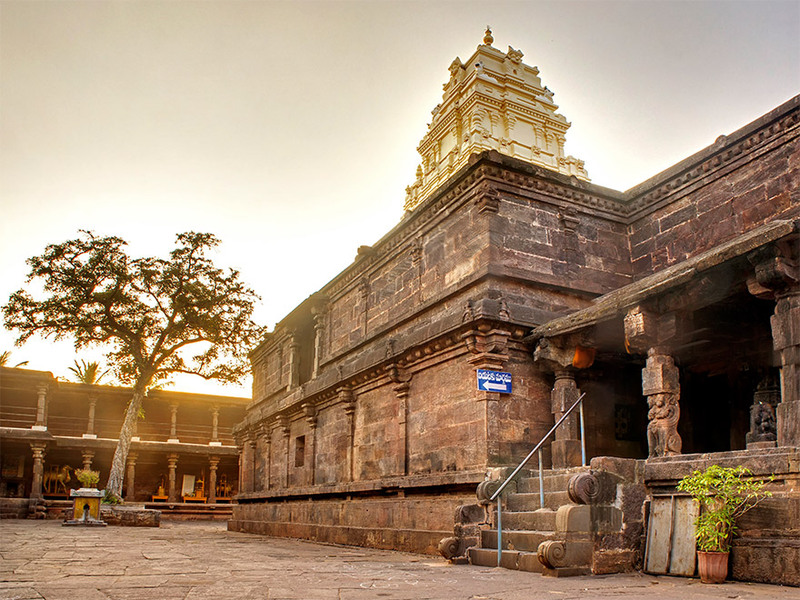 The Lingam in the temple is Spatica Lingam and the temple was constructed by Chalukya King in 4th century. Here it is believed that the colour of lingam changes to white colour during full moon day and blackish brown during amavasya day (no moon day). The face of the lingam here is called “Sadyojatha Mukha Swaroopa” (sadyojata means it represents Iccha Shakti, this face Lord Shiva will give both happiness and sadness to all creatures) and is the speciality of this temple. 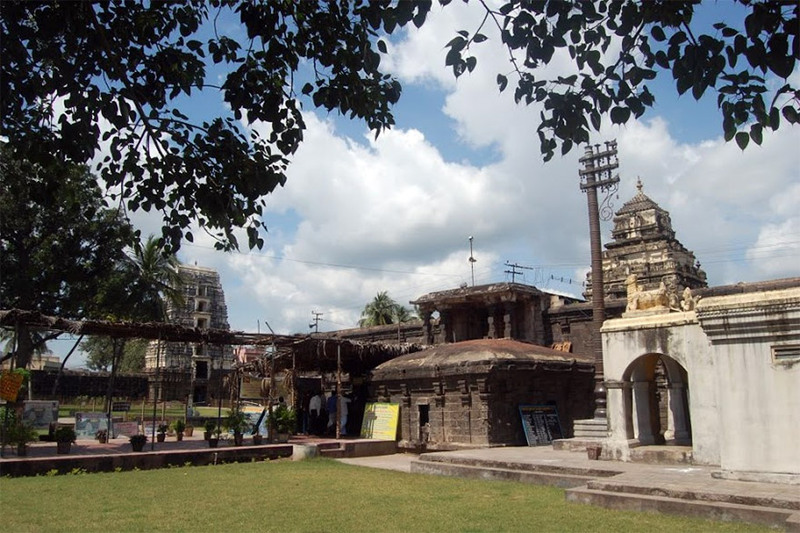 The consort is Goddess Sri Raja Rajeswari, and over the garbhalaya, Goddess Annapurna temple is situated, which is the also speciality of temple cannot be found anywhere in India. Here the Shiva Linga is called Lord Kumara Bhimeshwara Swamy, which was installed by Lord Kumarswamy and is in the place called Samarlakota, hence the name Kumararamam. The consort here is Goddess Bala Tripura Sundari. The temple was constructed by Chalukya king Bhimeshwara in 9th century and temple architecture resembles Draksharama temple’s architecture. 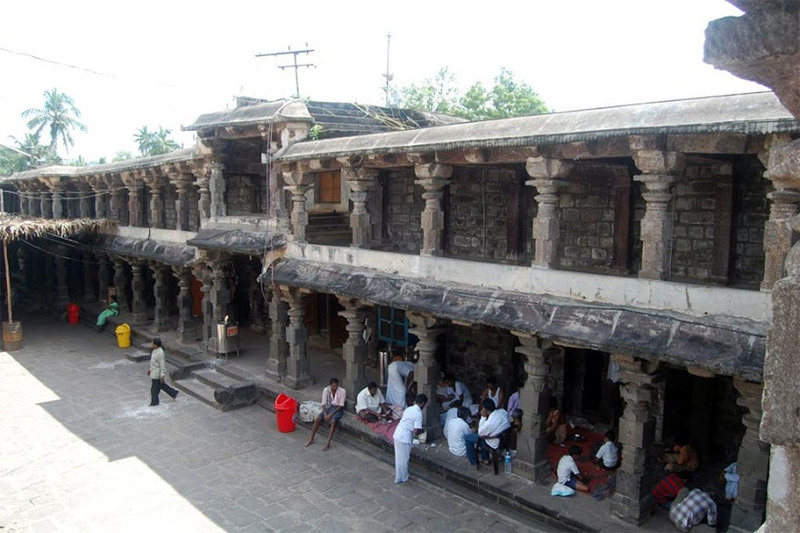 The greatness of this temple is that the rudrabhaga (which is on the first floor ) is worshipped, as the 16 ft high limestone raised from ground floor to the first floor, piercing through the roof. Here the kshetrapalaka is Lord Janardhana Swamy. Lord Shiva blessed us with his darshan in these five temples recently. 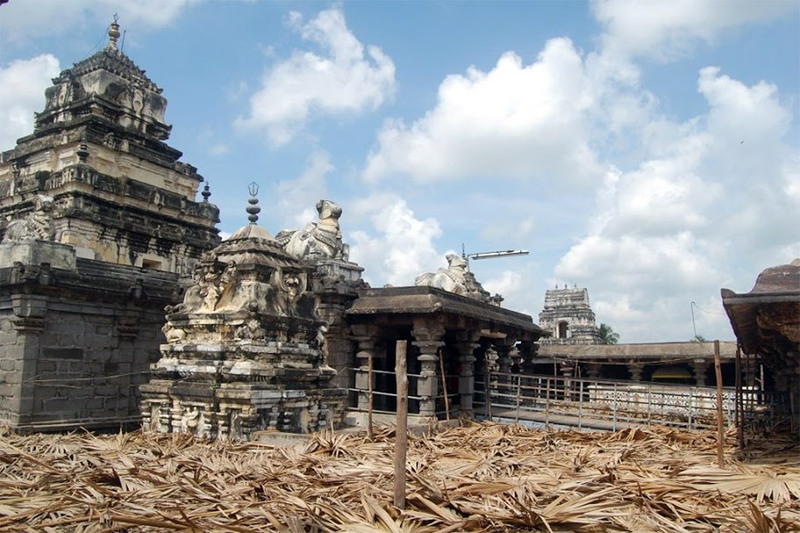 These temples are the treasures of Andhra Pradesh. Let us pass them on to the future generations to keep them alive and safe. look how big must be the kingdom of taraksur..?western part of gujarat in india and again andhra-trilangana-or telangana.. EXcellent coverage of famous temples in India.D V J VITTAL. Visiting nice temples sitting in my drawing room and watch these beautiful temples was very interesting. Having visited most of these temples from my childhood with my parents, brought back my childhood memories to date! D.V.J.Vittal. Those who have visited, please give travel tips for dharshan of the five aramams in a single day. Thank you. 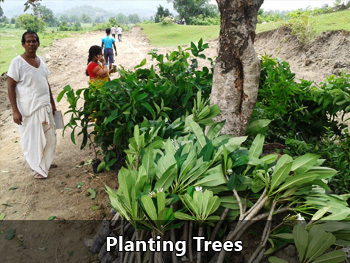 Very very useful important valuable worth visiting places in AP. Divine Temples in one Day. Thanks for these enlightening descriptions. I am waiting for you to start sending e mails on health and wellbeing which are of immediate importance to your readers. Very nice. I really happy as I visited these pancharamas. Ome namassivaya. This is the right time to visit those places. Apsrtc are plying buses covering all these temples in one single day on Monday. 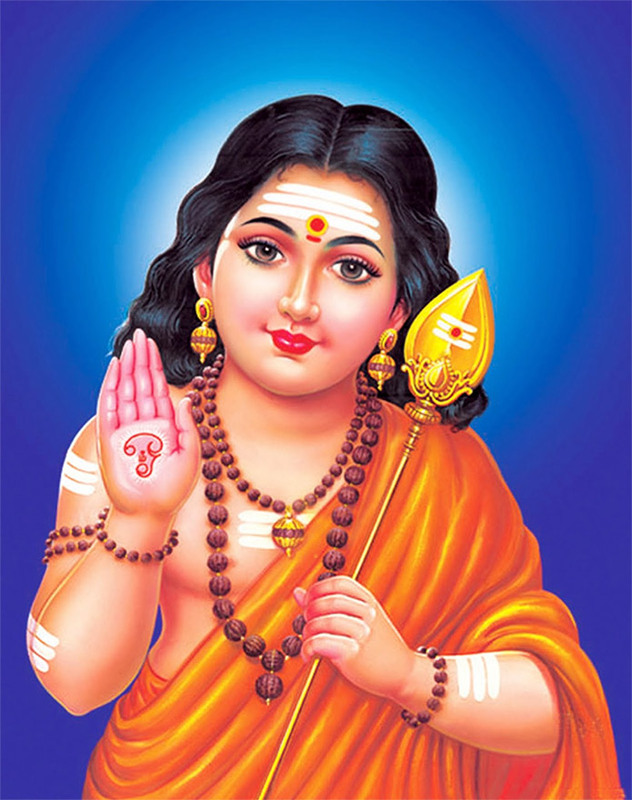 Om Namah Sivayah. By uttering this panchakshari mantra, the negative forces with in and around us will be eradicated and blessed with peace and progress. Mantra is a composition of powerful alphabets, which invigorate power centers in our body, thus producing positive current that brighten the entire human structure. So why Sages and Saints shine with glow and aura. As we are simple souls, may not go to the level of a Saint or Sage, but can live a peaceful and happy life, while sparing few minutes to chant few mantras. DEAR SIR, HOW TO EXPRESS MY JOY ? We will be happy to know such like details of famous temples in Andhra including vishnava temples, like Agoliga Mutt, etc. Our kind thanks – r s narayan ,New Delhi. I am a senior citizen (80+). 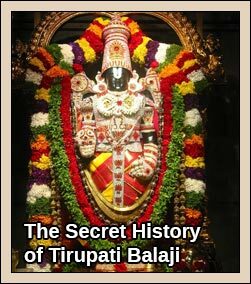 There are different versions about the Tarakasura Vadham by Lord Subramanya; in Tamilnadu the Lord is worshipped in several places but the Six houses called Arupadai Veedugal have temples like Palani, Thiruchendur, Azagar Koil, Thirutthani, Thirupparamkundram and Swami Malai. 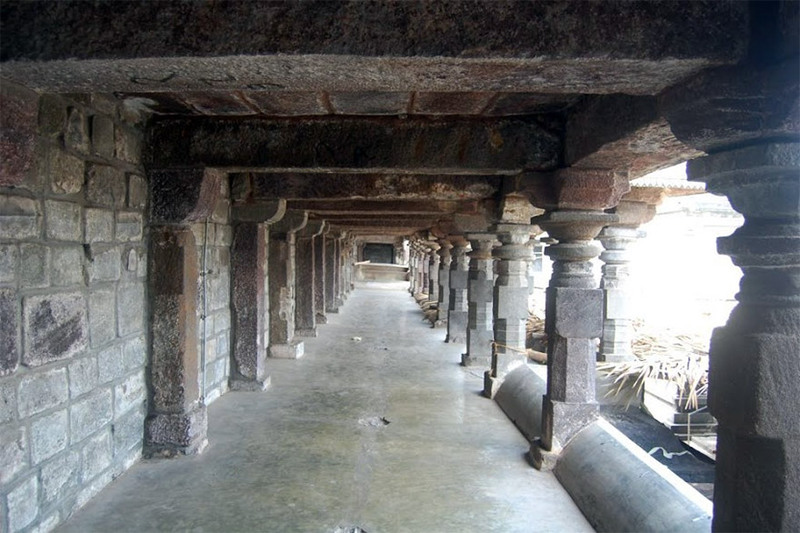 Thiruchendur is connected with Tarakasuravadham and after that it was at Thirupparakundram Murugan marries Devayani – Indra’s daughter according to Tamil scriptures. 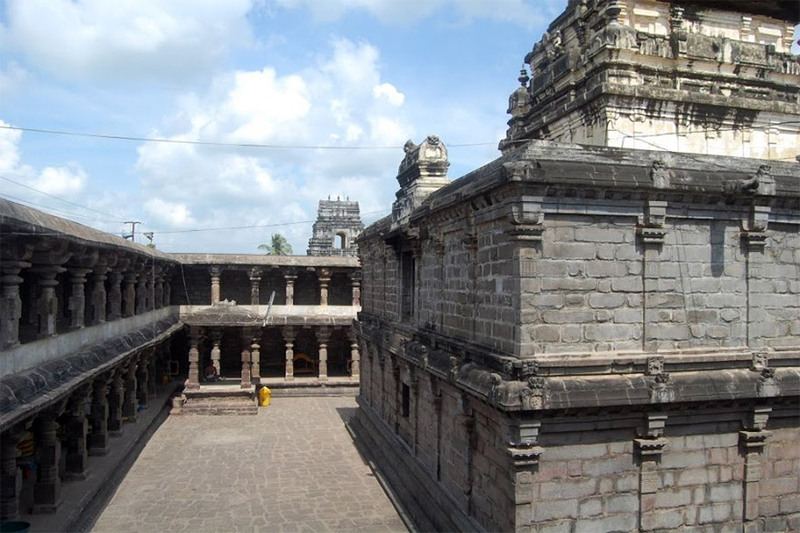 First time I am hearing about its connection with the Sivalinga owned by the Asura is bifurcated into five lingas after usenof Agneyastra by Lord Subramanya. I had no occasion to visit these temples but now if I get a chance I may visit. Thanks. A totally new & Different Information about Tarakasura,Well explained vital Informations about Pancharama Kshetras.Simply Superb..! Very informative article, supplemented by good photographs. From the article it appears that these temples were built over 5 centuries! How much labour must have gone into building them! Also how the dynasties (not single kings) supported such constructions ! If we really study our history we realise how great our forefathers were. Thanks everybody for the comments. Mr. dinesh Kumar I read your message. Thanks for the information. I know there is siva temple which is submerges in sea near Bhavnagar, but I do not know it is related to Tarakasura. Through this article we came to know about many wonderful place of worship, which are not known to us otherwise. Good going keep it up. You are really GREAT because you convey a great knowledge. 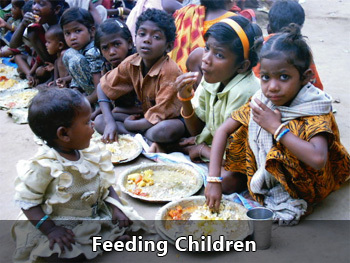 Very good narration and excellent photographs. 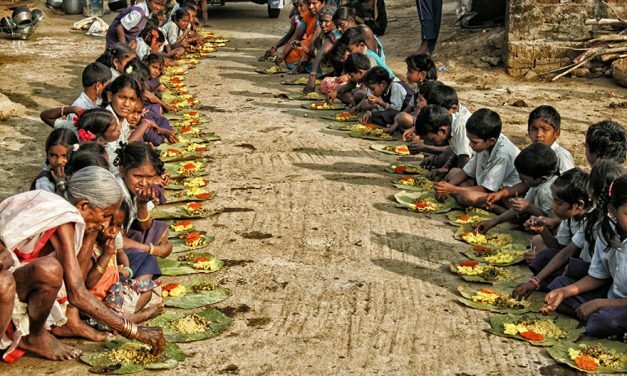 Thank the author and IndiaDivine.org for spreading this information. I am truly blessed to read this article. Longing to visit all the temples in a day and get the blessing of My Beloved Shiva!!! The narration is really interesting and god bless!!! These are the SEVEN Wonders of this UNIVERSE. Very informative. 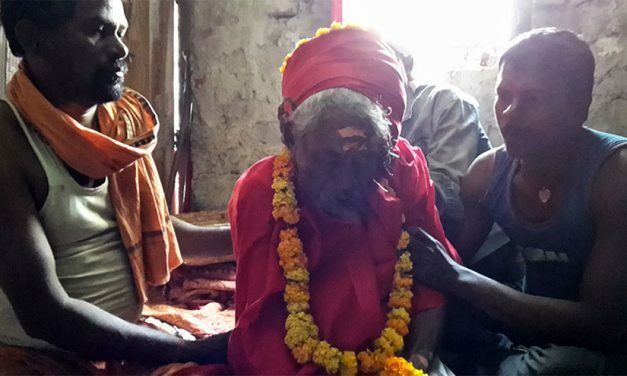 It again shows that we , the Hindus carry a unique legacy which should be told time and again lest we forget our root. 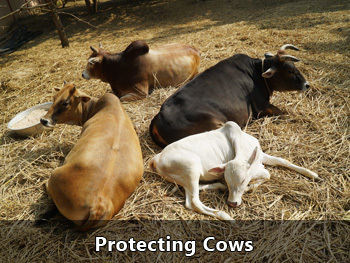 It has been predicted that, During the Kali Yuga (the Yuga we are in now) Dharma l(the cow) imps along on her one last leg, (the other three legs not in good shape) . 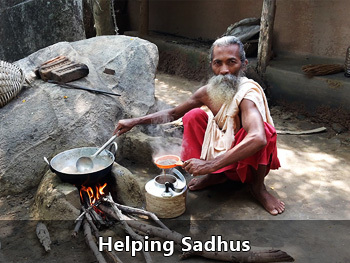 All Hindus who are fortunate enough to enjoy Divineorg articles such as this have a duty to contribute their mite to help sustain Hindu Dharma in whatever way they are able to (Writing articles,Sharing/spreading knowledge,helping with funds etc) with their less fortunate brethren . the surface, which is not hither to known to may people. Many thanks for this article. 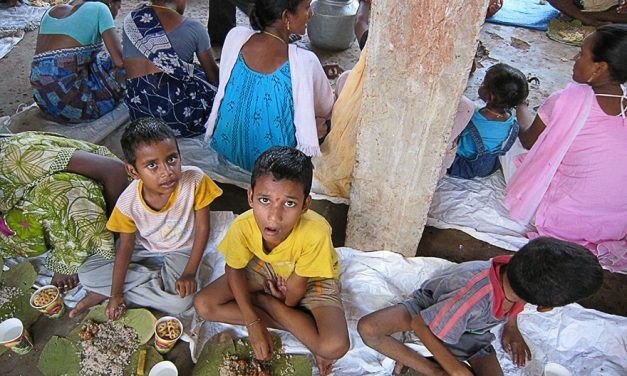 I am from Andhra Pradesh. Thanks for this article and unheard story telling from Purana. Excellent article. It is essential that this information is preserved and passed on to the next generation. I felt blessed to see the pictures of each temple. What service the kings of yore did, in building such temples. thank you , so much knowledge that we were not aware of, thank you for sharing. Our gratitude to all those who take the time to write these beautiful , uplifting information that keeps us close to our roots. Thank you very much 😊. Nice read. I love to learn about the thousands of years of incredible contribution to human endeavour and greatness. NextMystery of the Unclimbed Peak – What Makes Mount Kailash So Intriguing?